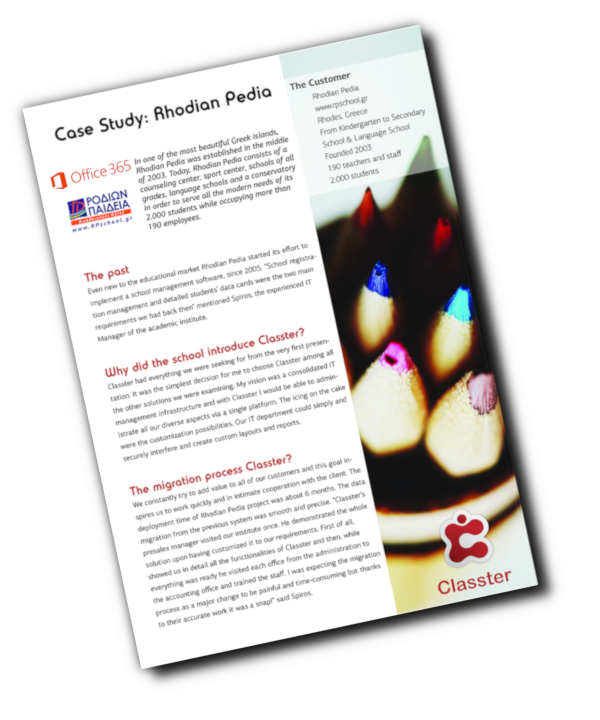 Rhodian Pedia school with more than 2000 students takes operations – and learning – to the next level with Classter and Office 365. That is why Microsoft chose Rhodian Pedia as a case study private school. Take a look at Microsoft’s blog post here. 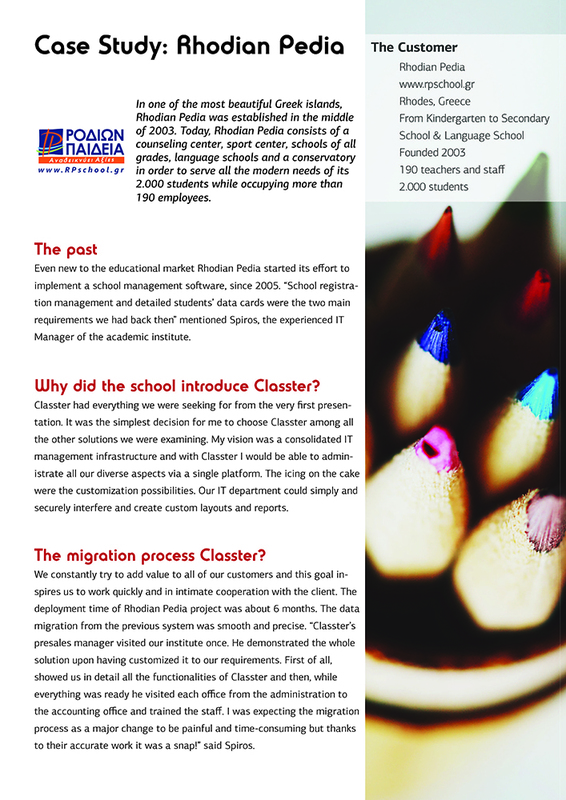 Click here to read the full case study of how Classter was implemented in Rhodian Pedia innovative school.